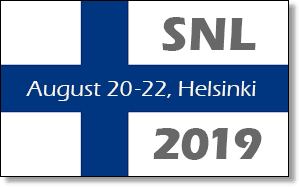 The Eleventh Annual Meeting of the Society for the Neurobiology of Language will be held in Helsinki, Finland, from August 20 – 22, 2019. The SNL Meeting will take place at the Finlandia Hall. For the convenience of our meeting attendees, SNL has arranged for a special room rate at the Crowne Plaza Helsinki-Hesperia. 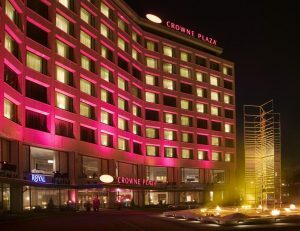 The Crowne Plaza Helsinki-Hesperia is located at Mannerheimintie 50, Helsinki, 00260, within walking distance to Finlandia Hall (0.31 mi/0.5 km). The Crowne Plaza Helsinki-Hesperia is the most convenient meeting hotel. We expect rooms to fill up quickly, so be sure to book early! SNL recommends the following budget accommodations for students and postdocs. The Omena Hotelli chain has two hotels located in the city center of Helsinki–the Omena Lönnrotinkatu and the Omena Yrjönkatu. Both hotels operate unmanned, which means that there is no reception. The main door and room door are opened by a code that you get when booking and paying. Payment needs to be done in advance. One room can accommodate from one to four people. Rooms include WiFi, refrigerator, kettle and microwave, so making your own breakfast is an option if you choose not to include breakfast in your booking. Breakfast can be purchased for $6 EUR. 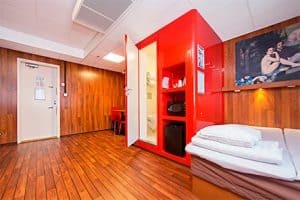 The Hostel Academica is student housing that has been vacated for the summer. The rooms are clean and functional, with private bathrooms, showers and kitchenettes. Prices include bed linens, towels and morning sauna. Breakfast is available for an additional $9 EUR. 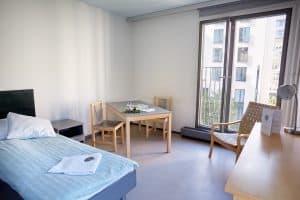 The Hostel Academica is an 18 minute walk from Finlandia Hall. Hellsten Hotel Apartments offer spacious, furnished apartments. The rooms are good quality, and there is 24 hour reception. 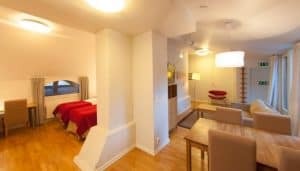 The Hellsten Helsinki Parliament Hotel features single rooms, as well as one- and two-bedroom apartments. Each room is unique and the prices vary. Breakfast is not included in the price, however all apartments are equipped with kitchenettes. The Hellsten Helsinki Parliament Hotel is a short 7 minute walk from Finlandia Hall.